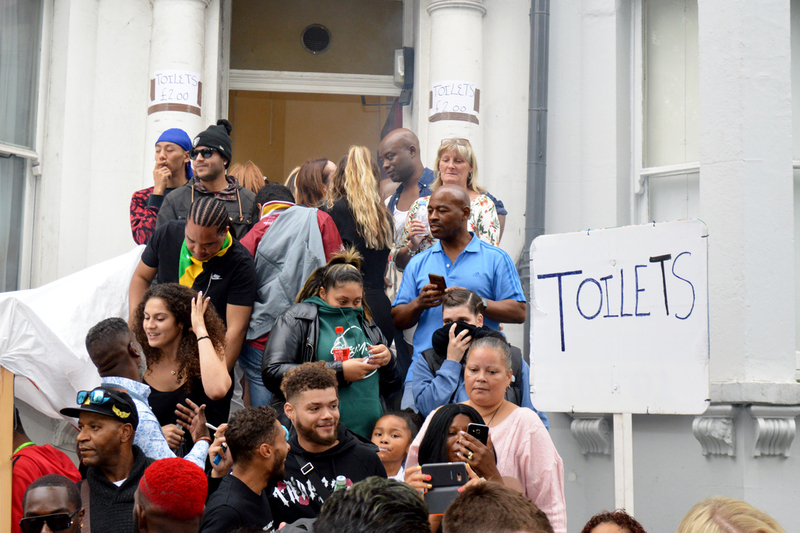 Poor planning and poor communication were at the root of most residents’ complaints at Monday’s post-Notting Hill Carnival meeting. Nothing new there ‑ residents, councils, politicians and media have berated successive carnival organisers for these failings for years. Except that it wasn’t Notting Hill Carnival Limited (NHCL) that residents were criticising, but Kensington & Chelsea Council (RBKC), Westminster City Council (WCC) and the Metropolitan Police Service (MPS). By contrast, even the usually crusty representatives of residents’ associations (RAs) were saying things like “I hope you get the contract next year – you’ve done an amazing job”; “It’s a pity our elected representatives weren’t here to hear about Carnival – it was wonderful”; “The stewards were fantastic. They knew the area and were very helpful”; “I think this company [NHCL] is admirable”. That kind of praise hasn’t been directed towards NHC organisers for many years – maybe not since the days of the London Free School carnivals of the 1960s! And as NHCL’s star rose, the councils’ reputations fell. In particular, residents and carnivalists alike dumped their ire on RBKC and Westminster for failing to provide enough toilets or to clean them adequately. WCC tried to excuse itself after being caught short in the WC department by saying “We understand the frustration – we did have some challenges with the toilets this year.” Didn’t we all? One enterprising individual had provided ‘pay as you go’ toilets, reporting that 95% of users were women, who were grateful for the relief they afforded. The police took a less benign view and raided the premises on the grounds that his toilets were “an unlicensed event”. Treating basic bodily functions as some kind of performance surely exceeds police powers. And, as one RA rep noted, visual evidence of that kind of ‘street art’ could be found all over Notting Hill – thanks to the lack of council provision. If you want to know why people relieve themselves on the street and in gardens, or pay for the pleasure of a private enterprise pee, just look at the figures. According to the BBC, Glastonbury Festival provides 5,000 toilets for 200,000 people (one toilet per 40 festival-goers), whereas RBKC and WCC offer fewer than 500 toilets plus some urinals for more than a million revellers (one for 2,000 people). The post-event cleanup was praised, but communications – especially to residents on the periphery – were criticised as inadequate and inaccurate. Councils and police failed to take proper account of the ‘ripple effect’ of Carnival, which spreads out far beyond the core zone. For example, on Sunday Notting Hill Gate station was closed to avoid overcrowding, yet homegoing revellers were directed to the much smaller Queensway, which even on this rainy day was completely swamped by the crowds. Representing the MPS was Chief Superintendent Ade Adelekan, in place of Commander Dave Musker. The latter wisely stayed away after provoking angry reactions at last year’s meeting with his belligerence. Adelekan pointed to several ‘firsts’ – knife arches introduced, Section 60 stop-and-search powers employed and 5,000 searches conducted, and a separate zone added around Grenfell. The number of arrests was up on last year’s total, he told us, but many of these were for drug offences and so were “self-generating”, and violent crime was down. Before Carnival, 1,000 pre-emptive arrests were made. Was Adelekan stigmatising Carnival by linking it to all these arrests? He was unable to say how many had resulted in charges being laid. This sparked off the liveliest exchanges of the evening, when he failed to answer the all-important questions: how many of the arrests result in charges; how many of those charged go to court; and how many of those are successfully prosecuted and found guilty of a crime? Post-Carnival police arrest and ‘crime’ statistics are meaningless without this information. The MPS has so far refused to release the data, claiming it would be too time-consuming to identify each case and its outcome. Nor could the Met shed any light on why at least one mas band was told to switch off its music and leave Ladbroke Grove at 17.55 on Monday. Despite being provided with photographs showing the police at the time, the MPS was unable to identify which of its officers was in charge of that section of the route. That suggests either some very poor personnel and information management or a lack of honesty, openness and transparency. 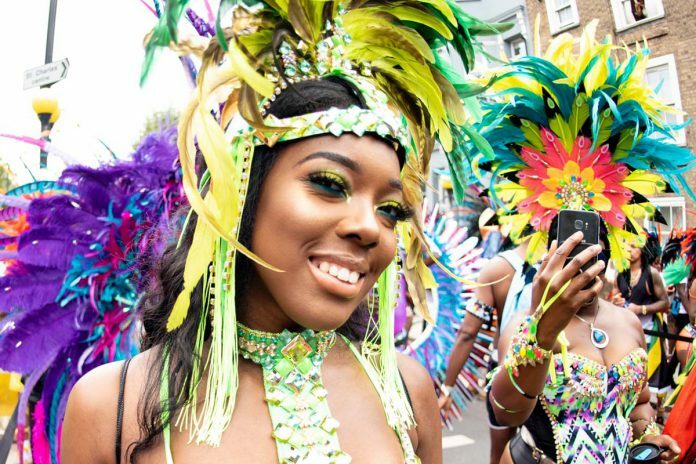 CS Adelekan did, however, admit that the force “took some learning points” from the furious reaction to the infamous “In the run-up to Notting Hill Carnival” tweets boasting about last year’s August arrest campaign, much of which took place far away from Notting Hill. This year, the Met did not specifically publicise the arrests but “just concentrated on doing our business”. Not before time, many would say. Poor management of police resources was raised by a band-leader, who, although finding the police “less oppressive this year”, wondered why they were lacking at the top end of Ladbroke Grove, where the band had to rely on local people and revellers to get them through the “surging” crowds. Yet, he said, lots of police in riot gear appeared to be protecting private property down side roads in less congested parts of the route. 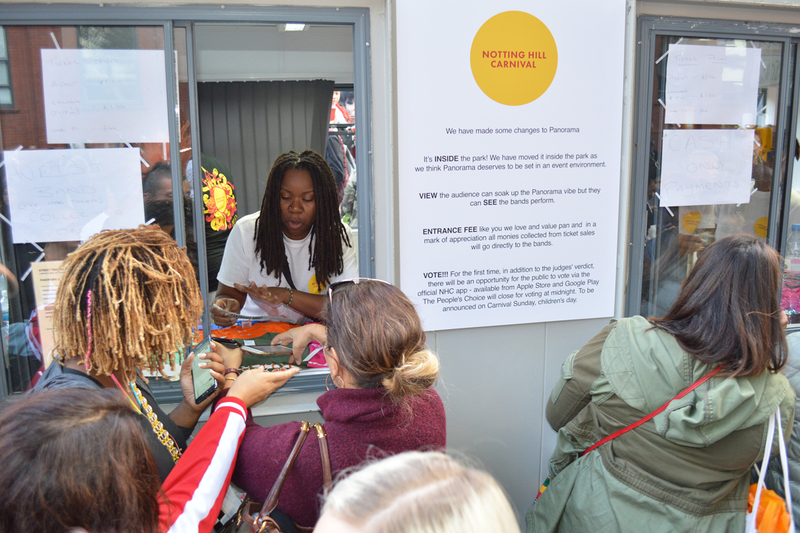 Even residents pitched in on the annual nightmare on Ladbroke Grove – “one of the scariest places” at Carnival because everyone is funnelled into it. Why not open some of the side roads to release crowd pressure in the Grove? It can be done, said CS Adelekan, but Soca News saw (and photographed) the limitations of this on Monday evening – the side roads were so choked with police vans and other vehicles that people couldn’t squeeze down them. Even before midday, there was a “huge blockage” in the Grove, apparently caused by a broken-down truck. Matthew Phillip said that an unauthorised sound system also appeared on the route. However, for the first time in several years, all the bands were past the judging point by 20.03. There was some anger that the 72-second silence for the victims of the Grenfell Tower fire was not universally observed. “There was a very good media campaign; there was no excuse not to know,” one activist noted. If it’s to happen next year, more hands-on control is needed. Phillip asked people to email him with the names of those who didn’t comply. Perhaps surprisingly, a local resident bemoaned the reduction in the number of sound systems; their absence left large empty spaces where there was nothing for people to do. And, she pointed out, the MCs do a good job in giving important messages to the crowd. Matthew Phillip confirmed that two of the expected 34 static sounds were not present, one for personal reasons after a bereavement. NHCL had worked to build a better relationship with the statics, providing advice, help with licences, barriers and even security staff. Along with mas bands and steelbands, the statics were required to have public liability insurance this year. The cover was upped from £1 million to £5 million, though this added only £40 to the premium, Phillip said. The stages – at Horniman’s Pleasance, Meanwhile Gardens (for children’s events) and Powis Square were improved. Management of the latter location was strongly criticised, as security had refused to allow any liquids to be brought into the area and even bottles of water were confiscated. It was suggested that this was to force people to buy from the Bacardi-sponsored bar. Phillip promised to look into it – “That’s not how it was meant to be,” he said. Panorama was generally considered a qualified success, though the last-minute failure of one of the two lighting towers left parts of the park quite dark and the lack of tickets on the gate meant a lot of people were disappointed. Nevertheless, more than 4,000 people attended and over £12,000 was distributed among the steelbands. All the same, Phillip admitted, a better audience experience is needed and if NHCL secures the next round of RBKC funding it will try to find an alternative location. As for the mas, there were more children’s bands this year and the ambition is to work more closely with schools in 2019. There’s scope for improvement at the judging point, Phillip agreed. Even residents expressed disappointment at the lack of real mas on the road, feeling that bands had become smaller with fewer masqueraders. One grumbled: “It’s a spectator carnival, not a costume carnival”, with too many sound systems playing “ghetto music”. But, as Matthew Phillip pointed out, this is London, not Port of Spain, and our Carnival is about inclusivity, unity and freedom. On that point, at least, we could all agree.